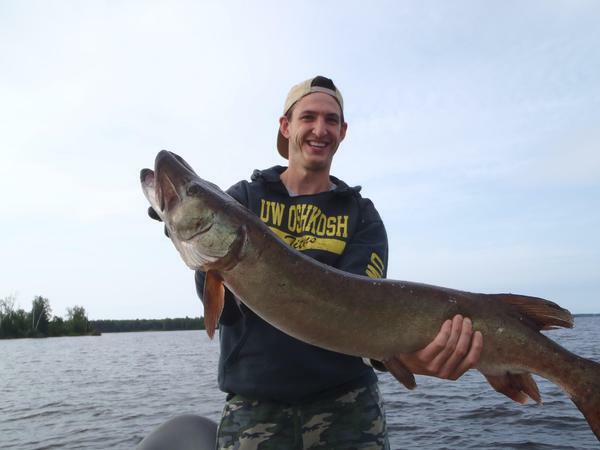 First spot, 10 minutes into the day Lawrence tied into this 44" musky on a slip bobber rig baited with a 1/2 crawler. Mom and sister watched as Lawrence played the fish well, we were lucky to get the fish into the net with the 6 lb. mono leader. Gotta say it was cool! , looking forward to doing some musky fishing this year. congratulations Lawrence and everyone landing these fish it is exciting.